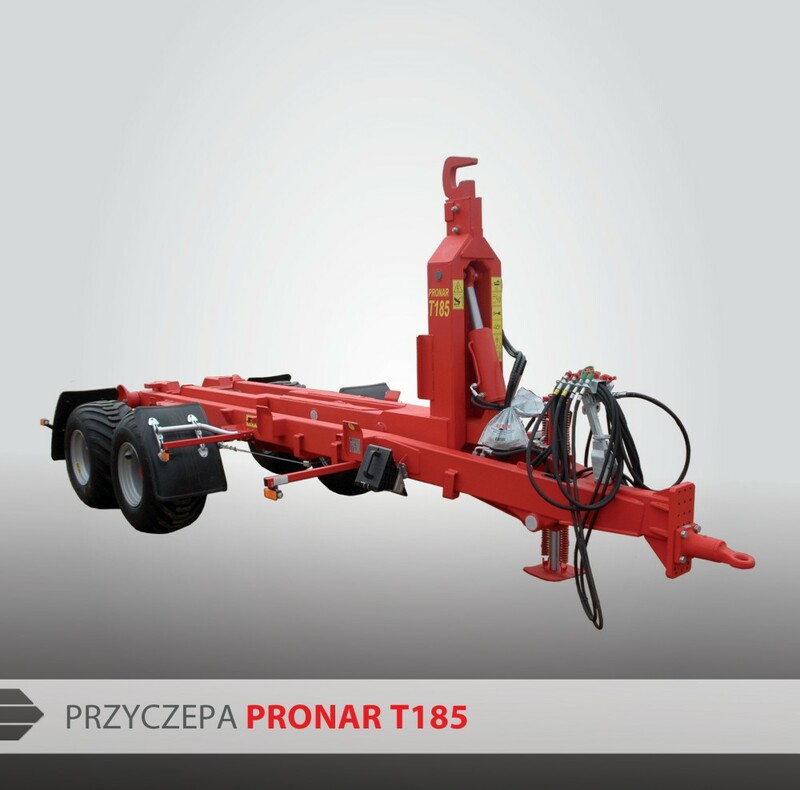 PRONAR trailer T185 - Pronar Sp. z o.o. 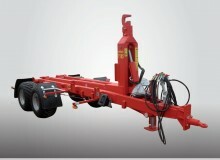 Universal trailer PRONAR T185, which can be used in agriculture, construction and waste management for the whole year! Perfect solution for the companies and communes that are looking for universal and durable equipment for various tasks related to the maintenance and semi-road works. 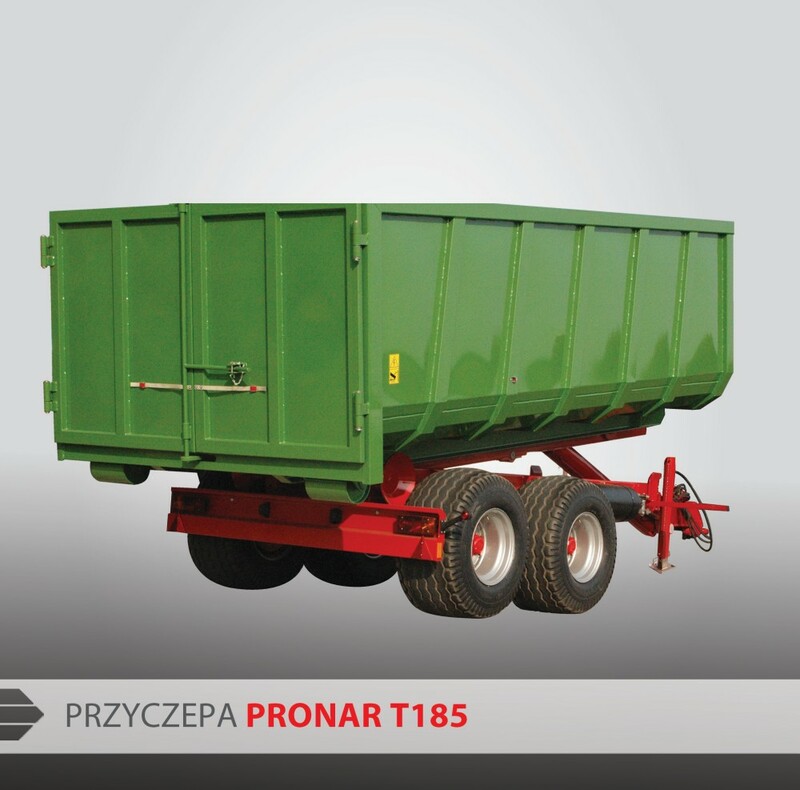 Trailer PRONAR T185 is designed to handle the agricultural, construction and utilities containers as well as transport platforms. High comfort of work provides a mechanism of loading equipped with a hydraulic lock on the suspensions for loading and unloading of the container. 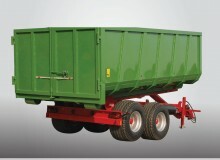 The design of the trailer allows you to connect and disconnect the containers and their unloading by tipping backwards which makes this trailer user-friendly and functional. Can Be used throughout the year for agricultural, communal and construction works. Hook with two positions 1450 and 1570 is increasing the range of used containers. Possibility of using the wide tyres makes it work perfectly even under difficult conditions (as on the waterlogged fields and forest roads). Construction is based on a number of framework with high rates of bending strength. Special suspensions lock stabilized the suspension during loading and unloading, which eliminates unwanted fluctuations of the entire set. Chemically hardened two-component painting materials , UV-resistant.